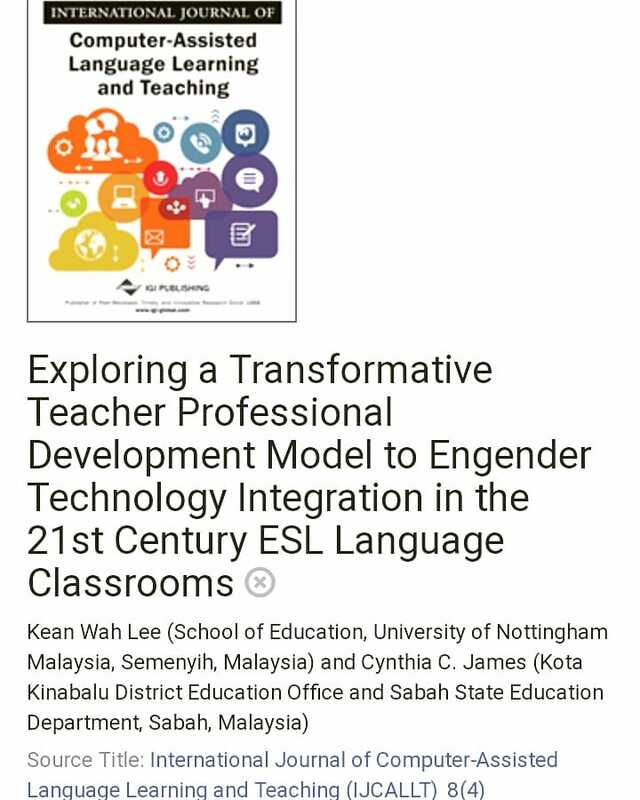 Next to Phonics, the Modular Approach or Modular Configuration is one aspect in KSSR that seems to be inviting a lot of scratching of the heads among Malaysian teachers. What is this ‘Modular Approach’ all about? Before we continue, I need to set this straight: I am no expert on KSSR, or Phonics, or Modular Approach or anything related to education for that matter. It’s just that when people around me start questioning things, I can’t help but try to read up and find the answers to those questions as best I could. And all these things that I put in this post (and all the posts before this) on KSSR are merely what I managed to gather from my little reading of books, documents, articles and some Internet researches. Some of the things that I write could probably be a bit inaccurate, and if that is so, I humbly and sincerely invite you to enlighten and correct me. I like to share, sharing is my passion, and I believe that sharing is equal to caring. Heheh! ;-) This is important to be established before I move on because I don’t want my readers to assume that I have the slightest pretension that whatever I write here may have any authoritative value whatsoever. Please bear in mind that this is just a simple blog by a small and insignificant primary school teacher in a remote town called Kunak. I’m only putting down my thoughts and reflections on matters that interest me. My main aim is to provide one medium for us to share our thoughts, opinions and knowledge – and nothing more beyond that. Please feel free to leave comments about the topic below my blog posts if you like, or if you prefer, you could always send me a message through Twitter or Facebook and we could continue our discussion on the topic from there. Having established that, allow me to move on to the topic that I’ve chosen to write about today: The Modular Approach in KSSR. 3. a part of a spacecraft which can operate independently of the other parts, especially when separate from them. We can see the connection of Definition 1 and Definition 2 with education and KSSR, and although Definition 3 is directly related to a spacecraft (heheh! ), I decided to include it here because it does have its relevance to KSSR. 'Module' is the noun, and 'modular' is the adjective. Describing something as 'modular' means referring to it as having separate units that when combined together make a complete whole. Therefore, we could roughly interpret 'modular approach' in education as an approach where different units (or skills) taught separately or individually make up one whole complete curriculum when they are combined together. Furthermore, using the spaceship analogy, learners subscribed to this curriculum are also expected to be able to use (or 'operate') the individual skills ('parts') independently of the other skills, even (and especially) when separate from them. Modular education is still new in Malaysia education scene, especially in primary school context. Yet, the idea itself is not entirely new. Internationally, a lot of education or training institutions worldwide have adapted the modular approach in their curriculum or system. This is especially true in higher learning institutions, such as universities and colleges and also in professional trainings conducted by professional boards in the medical, economic or legal fields. In a modular education, learners would learn topics, skills and units separately or by 'modules'. TVETipedia, the online portal for the exchange of information on technical and vocational education and training (TVET) hosted by UNESCO-UNEVOC explains modular education as "a training made up of a determined number of modules" (read more here). The two requirements for a training module: 1. It should be 'get on touch' in an independent way. 2. It should have its own internal coherence. In the traditional university system, each subject (course) is stretched over the whole semester period with usually three lecture hours a week. In the modular course system, in contrast, each course is usually two days a week for four weeks. The modular course system makes understanding much easier since it is more intense than the traditional system of teaching one course over a whole semester. 1. It provides students with intensive and focused time on each topic. 2. It allows mobility for both students and teachers (faculty). 3. It allows for different learning strategy. Based on the four (for Year 1 and 2) or five (for Year 3 to 6) modules for KSSR English language, teachers are expected to teach these modules separately and individually, and in sequence. This differs greatly from KBSR where all the four language skills of listening, speaking, reading and writing are not expected to be taught separately. In KBSR, the four language skills should be integrated in a thematic and topical lesson. Language arts and grammar are incorporated (most of the time in a covert manner) throughout the curriculum as part of a lesson activity. On the other hand, in KSSR, teachers are expected to teach the skills separately and in sequence, starting with Module 1 (Listening and Speaking), then move on to Module 2 (Reading), then Module 3 (Writing) and Module 4 (Language Arts). For Year 3 onwards, after Module 4 the sequence will continue with Module 5 (Grammar). According to the KSSR Standard Document, through the modular curriculum, "pupils will be able to focus on the development of salient language skills or sub-skills under each module through purposeful activities in meaningful contexts" (KSSR Standard Document, page 7). The Standard Document itself is quite clear in explaining the policy on which the modular approach in KSSR is built on, yet it doesn't seem to hinder questions upon questions being piled on one after another, by teachers and educators all over, especially those who are directly involved with the dissemination and implementation of the new curriculum known as KSSR. As I've stated, questions upon questions have been asked. I think the best way to discuss this matter would be to list down the frequently-asked questions on KSSR Modular Approach, and I'll attempt to provide my views on the matter as best I could. Under the modular approach, ONE and ONLY ONE skill should be taught in a particular lesson. There should be no integration of skills. A reading lesson must strictly be a reading lesson. No other language skills should be involved. TRUE or FALSE? I would answer with a big FALSE. To all teachers and JUs (!!!) who have been advocating the above to other teachers, I would like to humbly invite you to please refer to KSSR Standard Document page 7: "This modular approach does not exclude integration of skills. However, skills integration is exploited strategically to enhance pupils' development of specific language skills as described in the content and learning standards in a module." If I understand what it means correctly, I believe the CDD is hoping that the new curriculum that they've designed would manage to focus and emphasize on one individual language skill only at one time in a particular lesson. However, it doesn't mean that integration of skills should no longer be practiced. Integration of skills is still as necessary in KSSR as it is in KBSR, the only thing that differs here is the approach used to integrate the skills. One example would be integrating listening and speaking in a reading lesson. The main focus would be on the skill of reading, yet the listening skill is also incorporated when the teacher points to a word and does the segmenting for instance, and asks the pupils to listen carefully. The speaking skill is used when the pupils blend the segmented sounds to form the correct word. It is a reading lesson through and through, the teacher is teaching the pupils to relate the letters to the sounds by segmenting the individual sounds in the word, and the pupils practice their phonemic awareness by blending together the sounds of the written letters they see to form a word. Yet, as I've demonstrated in the example, listening and speaking skills are also actively involved in the lesson. English is a language, and we don't need a diploma or a degree in language or teaching to understand that restricting to only ONE particular skill exclusively and in isolation from other skills in language teaching is not only impossible, but also 'not very smart' (to put it as 'nicely' as I could). All we need in order to know whether the above statement is 'True' or 'False' is pure common sense; nothing more, nothing less. We understand that under the KSSR modular configuration, lessons need to be carried out in sequence. It means that Listening and Speaking must precede Reading and so on and so forth. Let's say I've conducted the Listening and Speaking module, and upon assessment, I realize that I need to repeat the lesson because my pupils still don't manage to achieve the stipulated learning standard. What would be the best way to do it? Should I repeat the lesson straightaway the next day (and hence using up the slot for Module 2, which is Reading), or should I carry on with the reading lesson and only repeat the Listening and Speaking during the next cycle? If a teacher sees a clear need to repeat his/her lesson for whatever reason, why should he/she wait for whatever? If it's up to me, I would repeat it straightaway! One of the reasons behind the modular configuration is to provide a 'scaffolded learning experience' for our pupils, and therefore it means that Module 1 should provide the scaffolding for Module 2, Module 2 should provide the scaffolding for Module 3 and so on. If a stipulated learning standard in one particular module is not achieved, then moving on to the next module would defy the scaffolding purposes. If we, as teachers, see the need to repeat a lesson, don't wait for the next cycle, repeat it straightaway! Take as much time as needed for the module we're working on with our pupils, take the whole week or even the whole month for one module if we think that's necessary. KSSR applies the Mastery Learning approach, and hence we as teachers should ensure that our pupils are able to master the skills needed, before moving on to the next level. Why teach the skills in sequence? Why must Reading come after Listening and Speaking? In KBSR, we can teach listening and speaking on the first day then straightaway jump to writing on the next day. It doesn't seem to create any problem. Our pupils still learn. There are a couple of problems with the argument above. First of all, in KBSR, we were not expected to teach listening and speaking or writing or reading on the first day or any particular day. KBSR is all about integration of skills, and although a teacher can still focus on only one skill in one particular lesson if he/she wants to, no one expects the teacher to follow the lesson up with any one skill in particular on the next class. This is because in KBSR, lessons are generally structured using the Whole Language approach, where the main objective is for learning of skills to be experienced in context. Unlike KSSR, lessons in KBSR need not be organized in sequence, because each lesson, although still related with one another, does not necessarily provide the scaffolding needed for the learning of the skill in the next lesson. Secondly, the Modular Approach in KSSR is not proposed by CDD because 'the old ways of doing things doesn't seem to work.' Personally, I don't believe this is the case. Whether learning happens or not does not depend entirely on a particular approach or system. Learning is influenced by a combination of a variety of factors: psychological factors, socioeconomic factors, and the 'teacher effect', among others. 1. The design of the Modular Approach in KSSR provides a 'scaffolded learning' experience. Skills should be taught in sequence because the previous skill provides the scaffolding for the next skill that follows. 2. The Modular Approach in KSSR gives all skills a 'fair chance'. In the former KBSR, although integration of skills are very much emphasized by the CDD and also the Nazir, situations such as 'all English lesson is a reading and writing lesson' and 'all English lesson is a grammar lesson' are very prevalent. Listening and Speaking as well as Language Arts are almost always forgotten. Why? Because in UPSR, reading and writing and grammar are the only skills being tested. The Modular Approach in KSSR is an attempt to rectify that. 3. The Modular Approach in KSSR is an attempt to give all pupils a 'fair chance'. During the KBSR era, we can see an education system that was so heavily examination-oriented. Because of that, many teachers fell into the temptation of teaching what was only needed to pass the examination. Pupils were not given enough opportunity to truly learn the language, to explore the beauty of it, to enjoy it. One of the modules included in the KSSR Modular Approach is the Language Arts module, and when I first learned about that, my first thought was: "Yeay! Finally!" Although we did have the Children's Contemporary Literature Program in KBSR (which will still be continued under KSSR, I presume), most of the time teachers wouldn't spend a lot of time on it with their pupils because the contents are not directly related to the syllabus content. And although the program is compulsory, many teachers would just gloss over it because the organisation of the KBSR was such that teachers were not 'forced' to bring it to the classroom. In the Language Arts module under KSSR, we could see an attempt to maneuver these whole thing towards the opposite direction, a positive direction, that is. So, why must skills be taught in sequence under the Modular Approach? Because it seems to be the best way of teaching the skills if we want the Modular Approach in KSSR to work. It isn't because not teaching in sequence is not good or doesn't work, it is because the Modular Approach in KSSR is designed that way, and it needs to be conducted that way in order for it to work. And we are not talking about any other Modular Approach under any curriculum in any other country. We are talking about the Malaysian KSSR Modular Approach, implemented in Malaysia in 2010. Wouldn't the modular approach cause problem for our pupils to use language in context? After all, language is used by combining more than one skills at any one time. Teaching the skills separately would train the pupils to use the language skills separately, and they wouldn't know how to use all the skills together in real-life context. As addressed previously in my answer to Question 1, the Modular Approach in KSSR does not exclude integration of skills. What should happen in Modular Approach in KSSR is a particular skill being emphasized more, or magnified, compared to other skills, yet not with the absence of other skills. Would this approach cause problem for pupils to use language in context? In my humble opinion, that shouldn't be the case. In addition to "purposeful activities in meaningful context" and "skills integration exploited strategically", in KSSR, "language input is [also] presented under themes and topics which are appropriate for pupils" (KSSR Standard Document, page 7). While it is true that only one skill is being magnified in Module 1 to 3, Module 4 which is the Language Arts module would be 'The Module' where the four language skills of listening, speaking, reading and writing can come together and the English language may be experienced and explored through enjoyable, fun, creative and most importantly, meaningful activities. And don't forget that KSSR isn't all about Modular Approach. There are various other elements of the curriculum that may provide meaningful and contextual learning for all pupils. The educational emphases that include thinking skills, mastery learning, ICT skills, multiple intelligence, constructivism, contextual learning, learning how to learn, values and citizenship, knowledge acquisition, creativity as well as entrepreneurship all contribute towards making learning meaningful and relevant to real-life context for all our pupils. Referring back to Definition 3 of the word 'module' according to Cambridge Advanced Learner's Dictionary (2003), we could think of an individual language skill (listening, speaking, reading or writing) as an individual part of a spacecraft (which is also known as a 'module'), while the English language itself is the spacecraft. The spacecraft wouldn't work well if the individual 'modules' are not in working order. To ensure that the spacecraft is able to do its job of flying and exploring the outer-space, each and every individual module must be able to function properly. How do we ensure that each and every module is functioning properly? By taking the individual module apart from each other and by testing whether it is able to function properly when it is separate and independent from one another. If an individual module has a problem, we should go to the root of the problem, and fix it. And we should test it again and again, until we are satisfied that every individual module is in its tip-top condition. When everything is ready, we put the modules back together to form a complete and whole spacecraft. And then we take off. This has become longer than I initially planned it to be, and there are still many more things that I believe I need to cover. I know there are lots more questions that are still unanswered; well, as far as KSSR is concerned I believe everyone is still in the process of learning. I hope all my teacher friends would not hesitate to share your thoughts, opinions or questions regarding KSSR and the Modular Approach. I would be working on a continuation of this post to deal with several of the matters that haven't been discussed in this post, and if I have encouraging feedback, I would attempt to address the issues raised by the responses to this post, too. Thank you Cynthia..u have answered our big question which almost cracks our head down.. Thanks for reading, Rose. Probably during your ELTDP meeting tomorrow you may get some feedback from your colleagues about KSSR and modular approach that you would like to share with me and others. Thanks for clarifying the Modular Approach. I am attending the district level Year 2 KSSR course and nothing was explained about it. Hi Cyn..we had just finished our KSSR Yr 2 course. After the 4 days course I'm down with bad flu and fever..it has been raining lately here. I managed to collect some Questions from the teachers who still have uncertain about what is inside the KSSR. Question 1: I teach in SJKC and I found there are too many new words ( vocab) to be learned by my pupils in each of the topic. Teaching them to understand the meaning of the word and translating them is really a burden and not an easy task. Should I continue the next topic or repeat the lesson on the next cycle? Answer: She was told by the trainer it all depends on the teacher to think what is best for his/her pupils. Question 2: How do we teach Phonics in the classroom? 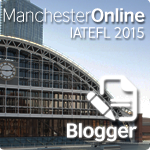 In what ways can it be taught effectively in the classroom? Asnwer: the trainer told us that we do segmenting and blending the sound. BUT......a teacher came up with a question again..Don't you think it will kill the pupils interest by doing segmenting and blending all the way long in order to make them able to read the words? it might kill the pupils interest and hate the lesson. Question 3: How can we teach all the 32 sounds as mentioned in the Learning Standard 2.1.1 to complete the Band 1 assessment in Module 1(L&S) before we are able to proceed and assess in Module 2 ( Reading)? to complete 32 sounds is ridiculous! Again we refer on how to teach Phonics effectively. Question 4: Why can't we proceed to assess pupils to the next modular if the first Modular L&S has not been objectively achieved? Answer: the trainer told us that we need to follow what has been informed by the MOE. sory..there is an error in Question 3. Please note. tq. Sorry..there is an error in Question 3. Please note. tq. * learning Standard 2.1.1 focuses in Module 2 (Reading) before we are able to proceed and assess in Module 3 (Writing) to complete the 32 sounds is ridiculous! Again we need to refer on how to teach Phonic effectively. Hi, Rose, thanks a lot! You must have put in a lot of effort in compiling all those questions and I can't thank you enough. I'm glad to be able to know what confuses teachers in Sandakan about modular approach and KSSR in general. I learn that a lot of teachers are having trouble with Phonics and also assessment. I promise to study each and every question and discuss them with my friends and other teachers, okay. They will be the 'source of inspiration' for my next post, which I hope to complete very soon. Thanks also for all my dear colleagues who've been reading and giving feedback, please feel free to continue to share your thoughts and questions, so that we can discuss this together. thanks.. i've got a lot of info here..
With Love - Future Teacher. stumbled upon your writing. this is really helpful. God bless!